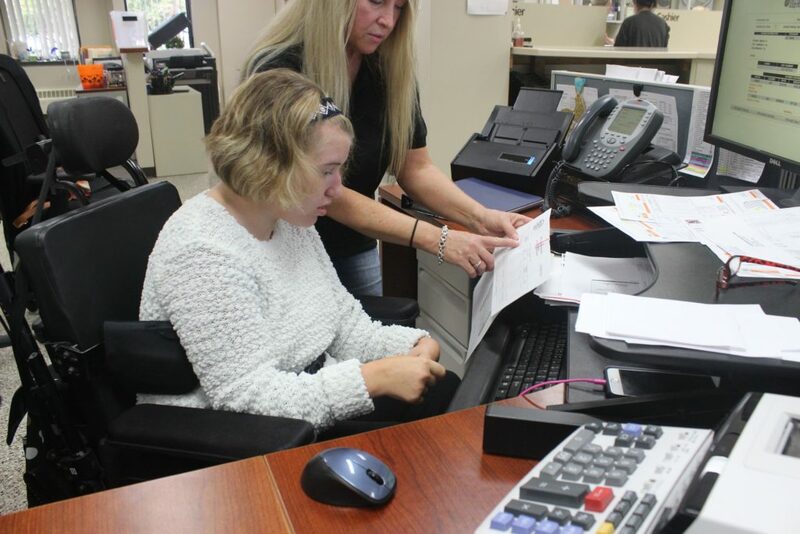 The Will County Treasurer’s Office participated in Disability Mentoring Day on October 10, 2018. Disability Mentoring Day is a nationwide effort to promote career development for students with disabilities through hands-on career exploitation. The program, which began in 1999, encourages students experience a typical day on the job and learn how to prepare to enter the world of work. Employers gain an increased awareness that people with disabilities represent an overlooked talent pool. Our student was Alexis, a senior at Lockport Township High School. We paired Alexis with Liz Bagley, one of our Accounting Assistants. In addition to working with the public on various issues related to property taxes, Liz processes partial tax payments, insufficient funds payments, and overpayment refunds. In Liz’s words, Alexis wanted to be part of a team that focuses on customer service. We started the morning by having Alexis navigate the Treasurer’s website. She learned how to search for a property tax bill. She looked up her parent’s tax bill, printed a copy, and then placed it in an envelope. This is a task we do for the public every day. 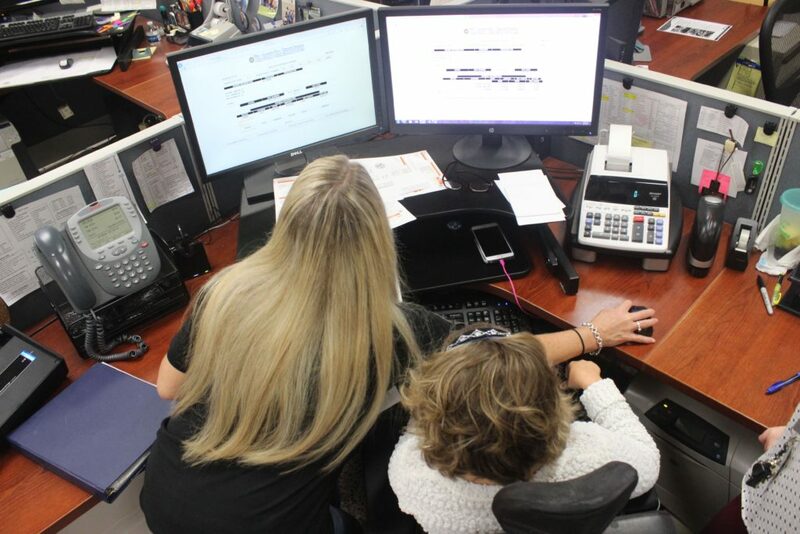 Alexis, who manages the conditions of cystic fibrosis, quickly endeared herself to the staff. Alexis was such a pleasure to work with. Her determination to learn and accomplish was inspiring. She was able to experience being part of an office team. One facet of a modern office, such as the Treasurer’s Office, is a phone system that progressively rings from one desk to the next until someone answers. It was a new experience for Alexis. The fact that the phone rang at multiple desks was confusing at first. We had another employee pretend to call us. Alexis took the call and answered her “customer’s” question. It was a thrill for all of us. I don’t think she wanted to leave. Her smile said it all. I will never forget this experience. 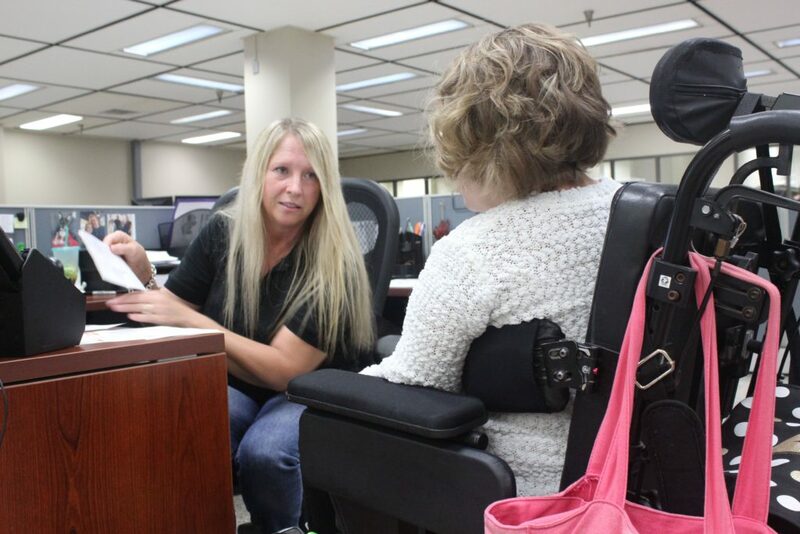 Disability Mentoring Day is a program of the American Association of People with Disabilities. Locally, the program is organized by the Disability Resource Center, a unit of the Center for Independent Living.